Continuing our exploration of Iyengar Yoga principles with Senior Iyengar Yoga teacher Carrie Owerko. The “yoga foot” has been much studied, taught, debated, and photographed. But what about the “yoga hand”? Surprised, I exited the pose. 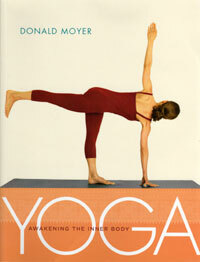 “You mean like this?” Imagine fingers spread as if for Downward Dog. Since my formative years, yoga-wise, in late 1990s, I’ve typically spread my fingers in open-hand poses such as Urdhva Hastasana, Trikonasana, Ardha Chandrasana, and the Virabhadrasana family. The one pose for which I prefer closed fingers is Garudasana. We all know that the “yoga hand” is straight, unlike the hands in ballet or flamenco. But what about the fingers? We first consulted Light on Yoga. 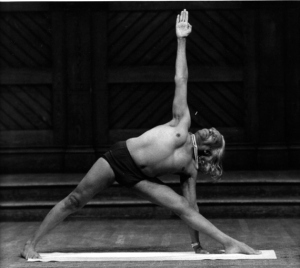 BKS Iyengar’s hands are vigorously straight and firm, with fingers pressed together. I understand this is not a question, but I have been told this a number of times and feel it is important feedback and should be addressed. My classes are ‘all levels’ classes ranging from beginner to advanced practitioners, including students with a wide range of physical challenges. I work hard to make my classes accessible, providing a safe environment and modifications to accommodate all of my students.